Everything we have heard and read about Chichen Itza warns of the crowds that start around 10 am with the arrival of the coach tours. We chose to stay at the Mayaland Hotel, so that we could walk into the site at 8am when it opens, and hopefully avoid the crowds. However we have arrived earlier than planned and decide to see what it is like in the late afternoon. We are glad we did, because the coaches have left, it is busy but not crowded and we can enjoy the site at our leisure. The scale of Chichen Itza is staggering. It was built in the 9th century and was capital of the Maya Empire. In its heyday it covered 25 square kilometers, but for reasons that are still not fully understood it was abandoned 200 years later. The religious, cultural and administrative center covered 6 square kilometers and was located close to the areas where the elite had their carefully decorated and brightly painted palaces. Outside of the central area up to 100,000 citizens lived in their thatched cottages. The city is still so important to the Mayan people that it is the site of a peregrination to this day. 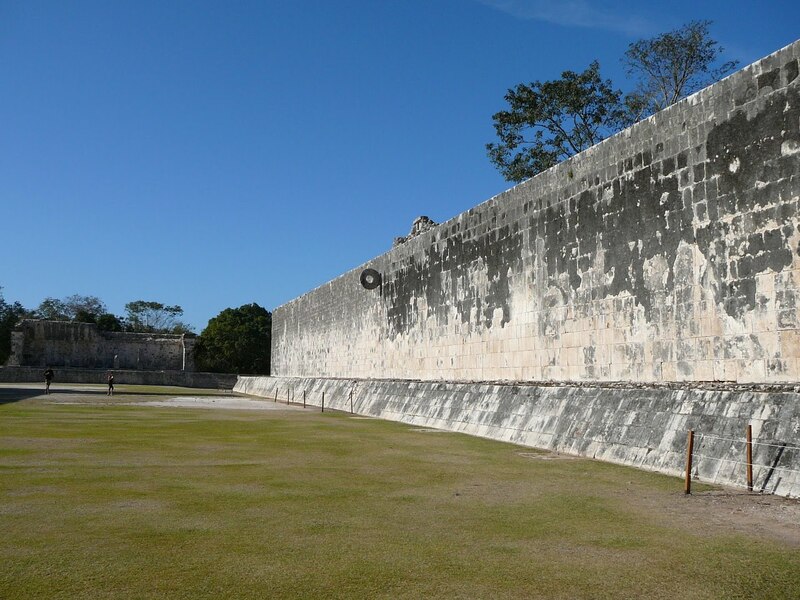 We can sense that power as we walk round the grounds and view the imposing castle of Kukulcan (the pyramid shaped building that we all recognize from photos). It is amazing to think that all of this was built without the use of metal tools. Chichen Itza is also famous for its huge ball court. Here the hoop must be thirty feet up a vertical wall, and is quite small. It must have been very difficult to get the ball through it. This ball court is actually carved with the depictions of the captain of the losing team being beheaded and clearly shows their belief that blood from the beheaded fed the ground and allowed for good crops. This entry was posted in ballcourt, Kukulcan, Mayaland. 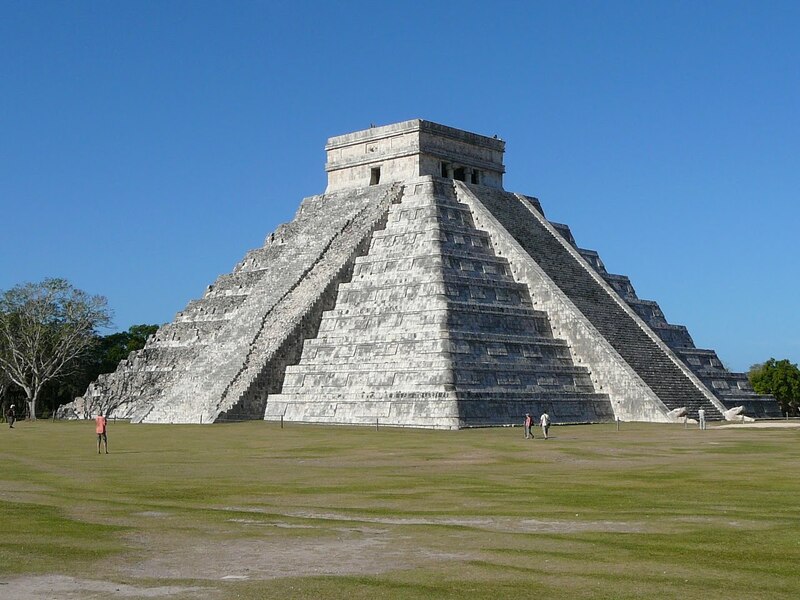 Chichen Itza.. Bookmark the permalink.